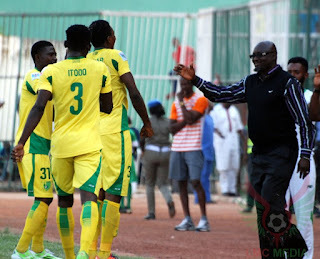 Will Boboye and his wards celebrate against Kano Pillars? Log leaders, Plateau United, are in for what could be described as one of their toughest matches this term when they face a resurgent Kano Pillars. To be the champions, you must beat the big teams, so Kennedy Boboye is presented with a match to test the seriousness of his side. Elsewhere, Remo Stars’ new gaffer, Fatai Osho, has gone five matches without a win and goes into his sixth against another new side, ABS. 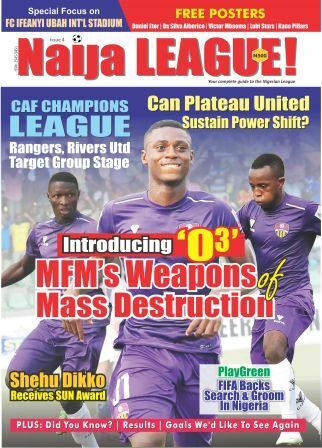 Two matches have been postponed as champions, Rangers and runner-up, Rivers United, are back in the continent for Caf Champions League business. Truth be told, United have displayed fine football artistry to maintain their lead, but the coming of Pillars is even a testimony of their readiness to win their first-ever league title. With 16 scored, Boboye will unleash the best attack in the league on their visitors. Will United fans be happy to welcome their former goalkeeper, Danladi Isah, back to Jos? Isah left Jos for Kano and has seized the number one jersey at the famous Kano side. On match day, he will come against Kabiru Umar, who leads the attack in search of goals. Elisha Golbe will be in charge of defensive duties to prevent Pillars from causing any havoc. Rabiu Ali and Gambo Mohammed are familiar faces in the Pillars match day squad, but the man of the moment is Kabiru Balogun, the youngster who crossed from relegated Ikorodu. Sunday’s battle will be directed from the dugout when the old comes against the new. Legendary Kadiri Ikhana against emerging Boboye, who is still relishing his January LBA gong as Manager of the month.